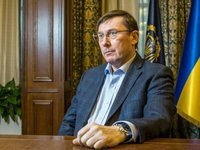 Outbreak of violence against the protesters on Maidan during the Revolution of Dignity coincides in time with the arrival of Russia's FSB Federal Security Service agents to Kyiv, Prosecutor General of Ukraine Yuriy Lutsenko has said. "And then a team from the Kremlin arrived. I know this for sure, from reading the papers in the case, that people from the FSB were arriving in Kyiv continuously… We can see [records of] their phone numbers in Kyiv's government quarter. An outbreak of violence against the peaceful demonstrators coincides with their arrivals," the prosecutor general said, speaking on a live TV program "Visiting Dmytro Gordon" in the evening of January 21.